The first thing you can do is to open your living room to your outdoor area. It can be done with wide sliding glass doors similar to the living room below. See how the full-length glazed doors gave dramatic lighting in the living room? 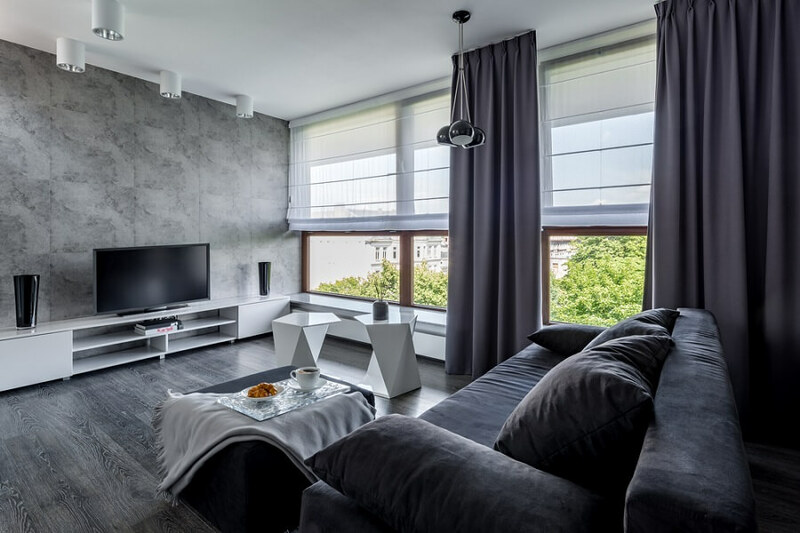 If sliding doors are not your thing, consider enlarging your living room window. The wider and taller the glass, the more light will enter the room. Superdraft tip: The view from your door and windows affect the amount of light that will come in your space. Something light and white, such as the wall boosts the light reflected into the room. Consider using glass doors inside the house so one room can borrow light from another. Doing so will keep you from having that dull and dreaded room in between well-lit rooms. 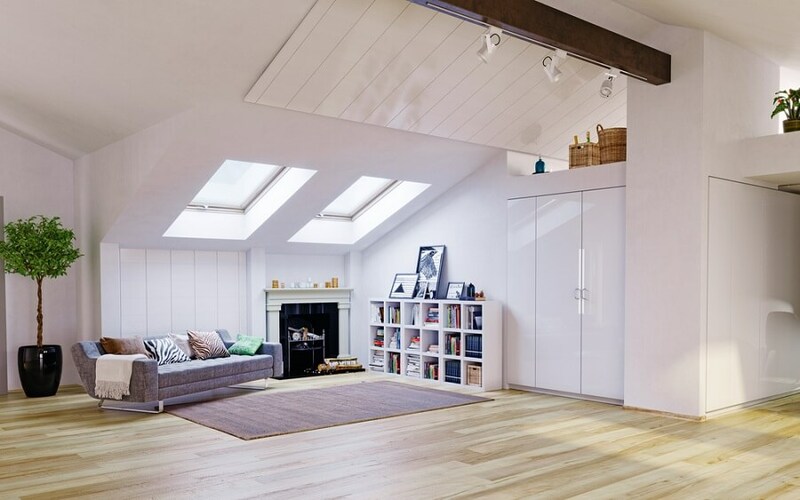 Having glass doors help maximise the light that enters your home. Want a little privacy in the room? 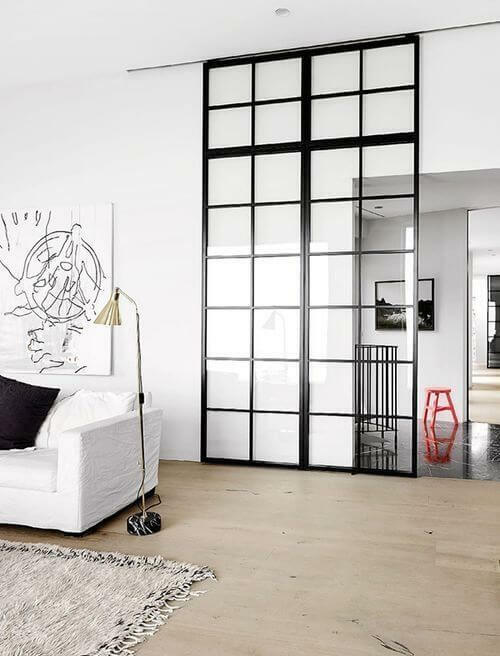 Go for frosted or translucent glass doors. Its semi opaqueness isolates the room without completely blocking the light. This is a great option when your bedroom connects to the living area. Choosing less and simple furniture pieces keep the room light and airy. 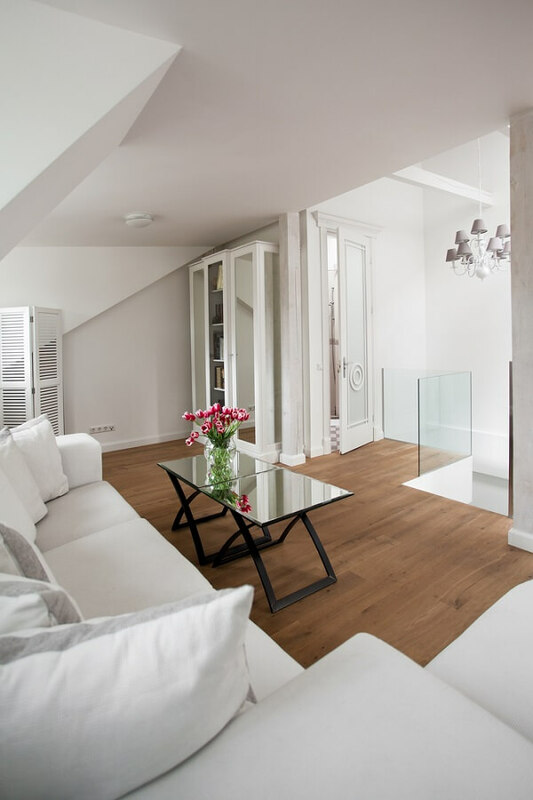 The more you celebrate negative space in the living room, the lighter and brighter it will feel. Take this apartment for example. The homeowner placed the living room in the windowless area of the house. 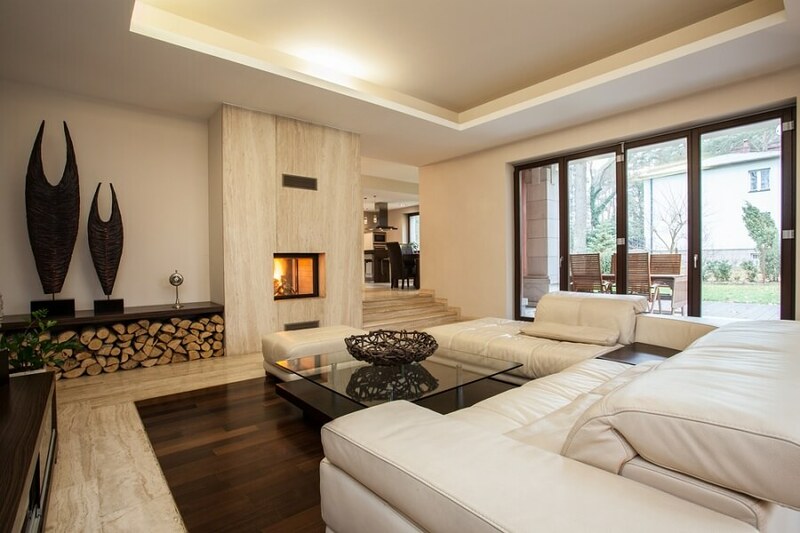 It only borrows light from the dining area and the window before the fireplace. 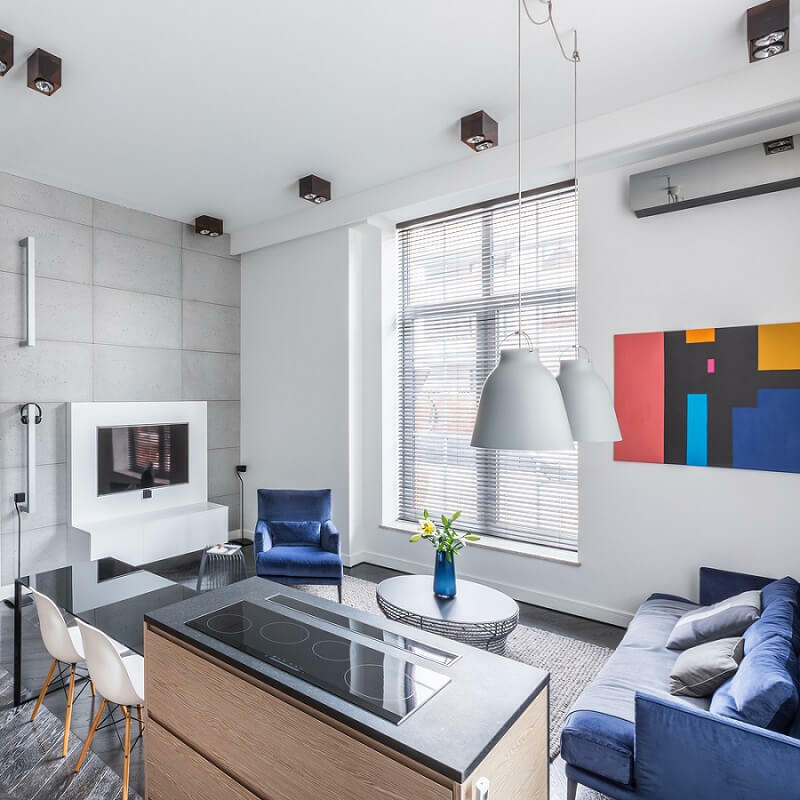 If the designer didn’t use simple, midcentury modern furniture pieces, this living room could’ve been darker. Make sure that all your furniture pieces do not block the light. 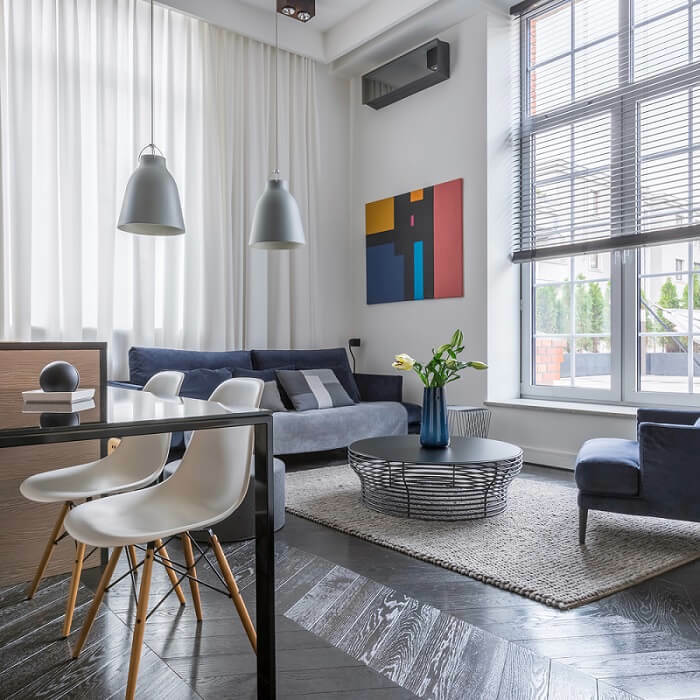 Position the large furniture away from the windows so it doesn’t obstruct the light source or cast a huge shadow in the room. 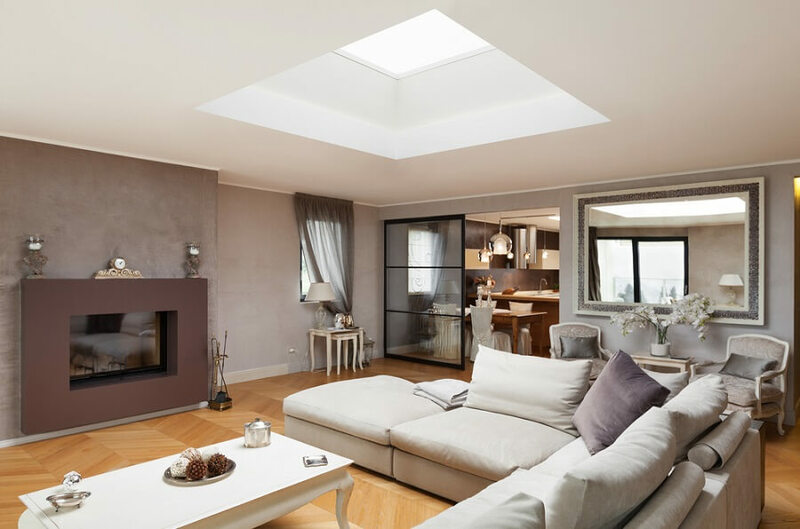 Those living in top-floor apartment rooms or in single-storey homes will enjoy a lot of sunlight with skylights. Opening roof windows will also bring plenty of sunshine in the space. If you want to brighten your space, you have to think about your window treatment. For example, window blinds provide enough privacy without totally blocking the sunlight. Same goes with sheer curtains. Position its tracks properly so it covers the entire window when in use, and it sits fully clear when drawn back. Feel free to explore other window treatments such as this light filtering window shade. Pair it with dark drapes which can fully block intense sunlight at noon. This is the go-to solution to brighten up a dark room. Paint the ceiling and walls with white paint, use white furniture pieces, and the room will instantly feel radiant. Take a look at this second-floor lounge area. 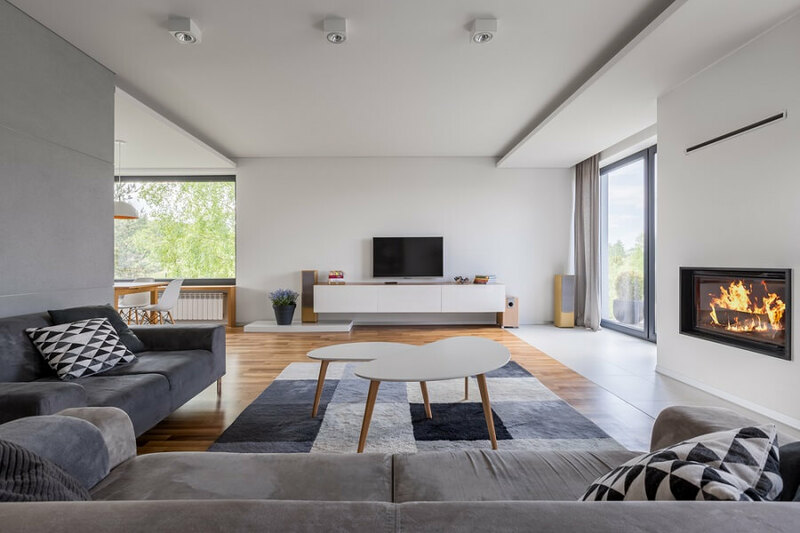 It’s not the place with the largest windows but the white interiors amplified the natural light coming into your space. Superdraft tip: Reflective surfaces such as mirrors, polished floors, and glossy surfaces also amplify both space and light. Find ways to hang mirrors in a small, underlit rooms. 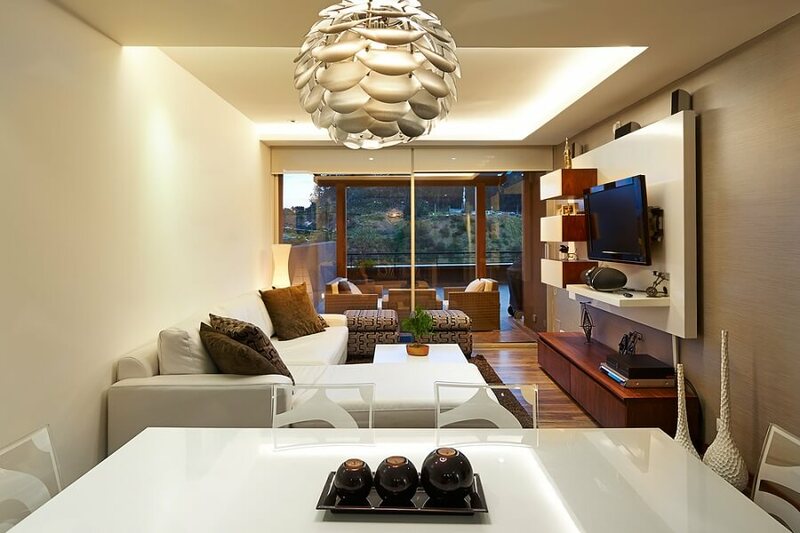 Having off-white, cream, or light beige walls will make an underlit room feel light and cozy. Take this living room during winter. The sun is not shining brightly on the outside but the room remains warm because of the wall colour. Getting rid of a wall to combine adjacent spaces will yield dramatic results. There’s no more opaque wall that keeps the light from illuminating the entire space. 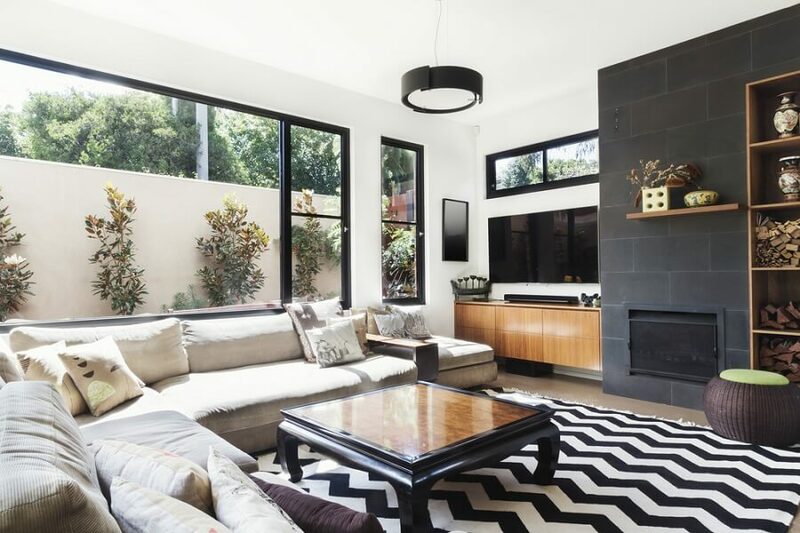 We hope you enjoyed these living room design ideas that maximise light in your space. If you have done something at home which you’d like to share, type it in the comment section of this article. Enjoyed the story? Comment down below!